Collectors: Do You Think Your 'Treasures' Are Your Nest Egg? One of my simple pleasures is watching "American Pickers" on the History Channel. Mike and Frank travel the country looking for items of value in people's collections. They take the items they buy and sell them in one of their stores (hopefully at a profit). The show supports the notion that one person's rusty junk is another person's treasure. %VIRTUAL-article-sponsoredlinks%On the program, viewers meet interesting characters, many of whom have spent their lives collecting. Most aren't trying to get rich quickly but, rather, are collecting things they connect with. I get that, as we all have things we enjoy, but there is a fine line between collecting and going overboard. While many of these collectors have items that are worth considerable amounts of money, many have houses filled with junk. For the most part, the individuals on shows like "American Pickers" don't cross the line into the dark side of collecting -- hoarding. However, there are times when compulsive hoarding tendencies are at play. But what's really caught my attention lately isn't the ones who have allowed their collections to take over their lives and envelop their homes. It's the number of people on TV shows like this who claim that their collection is their retirement portfolio. They appear to be doing little else in terms of growing wealth or preparing for the future. A good collector may acquire some fairly valuable items over the years. But is this really a viable way to save for retirement? Is Collecting a Justifiable Retirement Strategy? Value. Assets are worth only what someone else is willing to pay for them, and it's not always easy to find a buyer. That will make it hard for you to put a true value on your collection. Limited protection. This is especially the case when it comes to dangers like theft, loss in value or fire. True, you aren't guaranteed against losses while investing in stocks either, but there are methods to limit them. Few insurance options. Unless you have riders on your homeowner's insurance, there is no way to protect against loss in value. This is opposed to Federal Deposit Insurance Corp./Securities Investor Protection Corp. insurance coverage through a bank or brokerage. Glut in the market. 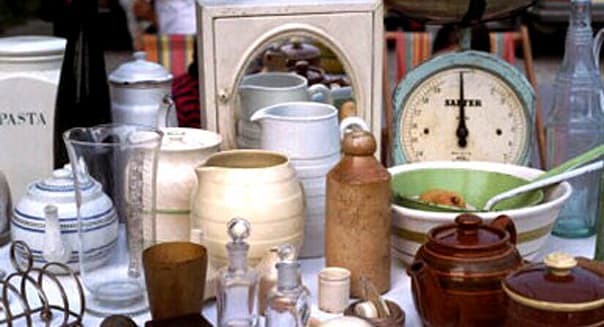 New items entering the market will drive down prices. Again, this is going along with the idea that something is only worth what someone else will pay for it. Complications. Handling an estate when a person passes is difficult enough. Adding the need to sell items makes the process harder. Just because a collection isn't generally something you should rely on for your retirement nest egg doesn't mean you need to write collecting off altogether. If you have a hobby, or there's a type of object you enjoy, by all means collect with those things in mind. Just be reasonable, and if you're married, make sure your spouse supports your hobby. Vehicles like a 401(k) through your employer or individual retirement account through an online brokerage should be your major avenues for retirement saving. A collection -- particularly of items that have a history of holding their value -- can provide a small supplement to your portfolio. But basing your retirement strategy around one is a risky way to prepare for the future. John Schmoll is the founder of Frugal Rules, a finance blog that regularly discusses investing, budgeting and frugal living. He is a father, husband and veteran of the financial services industry who's passionate about helping people find freedom through frugality. He also writes about wise ways to manage your money at WiseDollar.org.